Lisa and I enjoyed our time in Joigny. 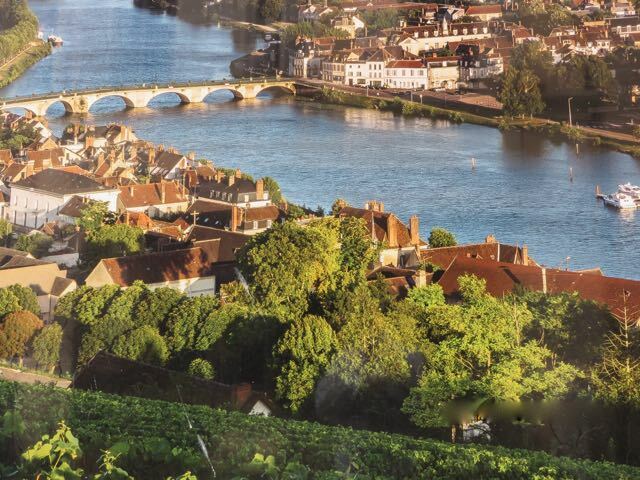 We loved its world-class restaurant A la Cote St. Jacques, the beautiful vineyards that surround the city, and its steep narrow streets with wonderful views. The covered market built in 1884 was great, and we even bought some mussels that Kevin insisted on making for us. We didn’t know what a great chef he was! A beautiful view from the vineyards surrounding Joigny. 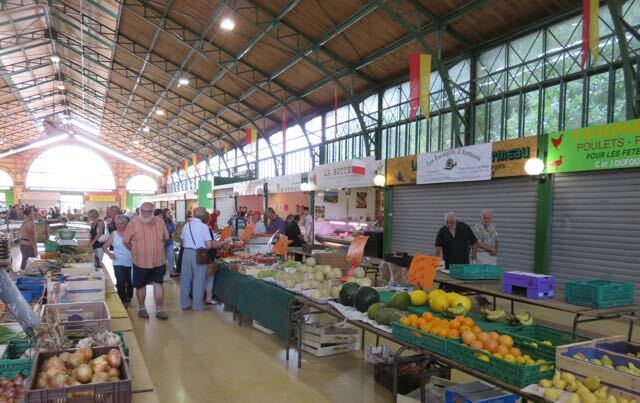 The covered Market in Joigny. 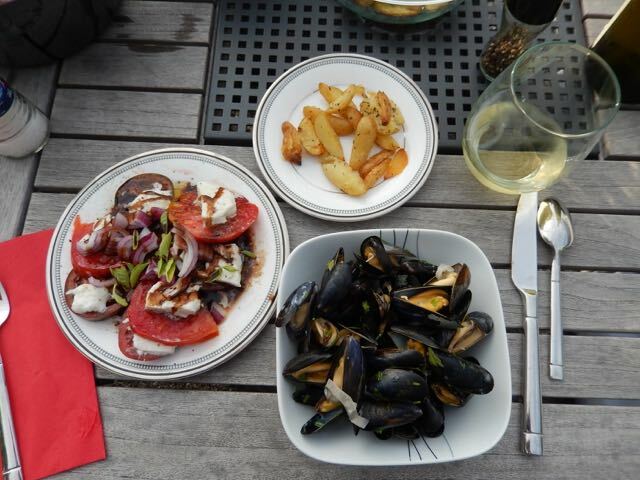 A great meal of salad, mussels, pomme frites, and wine. 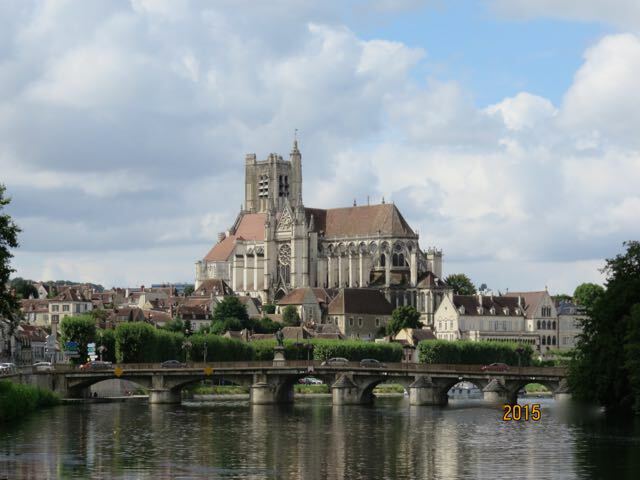 Our last stop on the Yonne River was Auxerre. 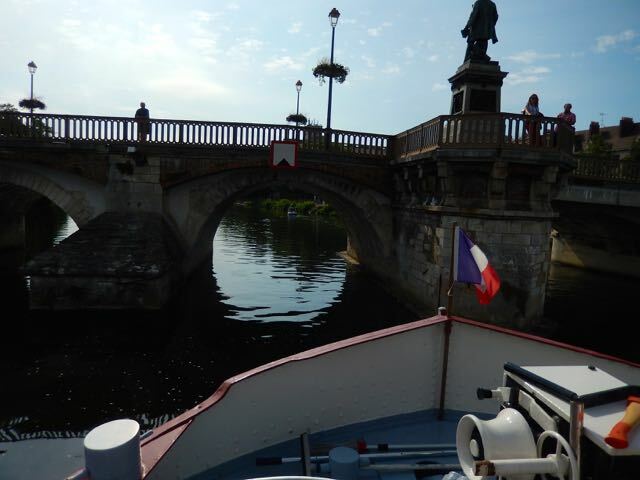 The Canal du Nivernais starts just past this beautiful city, and we are too large to traverse this waterway. 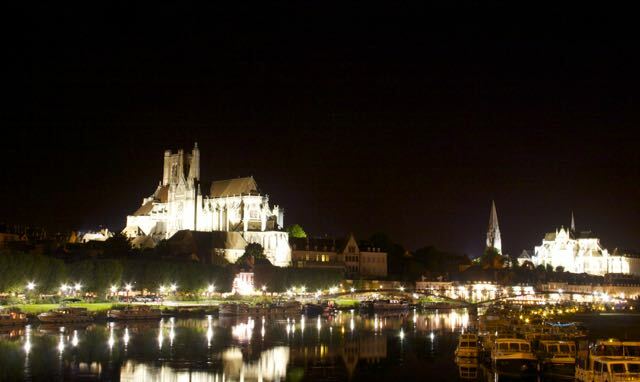 Auxerre is the second largest city in Burgundy with Dijon being the largest. As nice as we thought Joigny was Auxerre was even better. Our mooring was next to a beautiful park. All we had to do was step off Rabelo, and we were in the middle of the city. At night they lit up the cathedral and church, which made for some great pictures. We ended up going to an organ concert in the cathedral and visiting its 11th century crypt. A total of four different churches had stood where the cathedral is now. 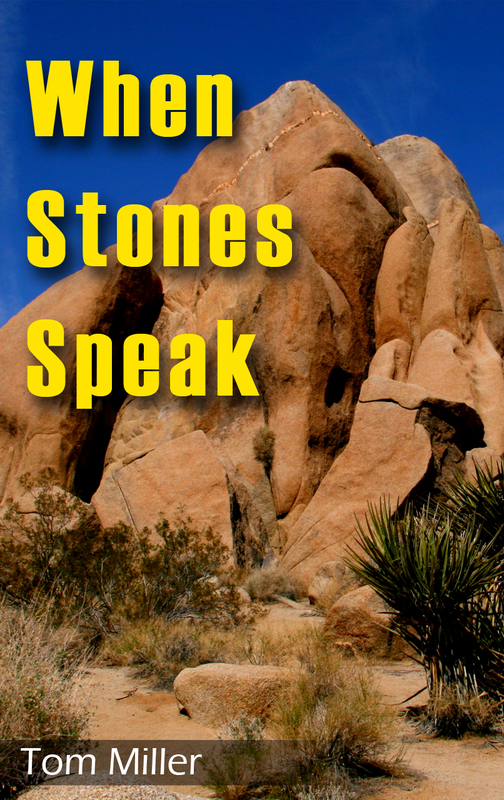 The first was started in the fifth century. The current cathedral is 500 years old, and in amazing condition. The church has spent a ton of money refurbishing it. 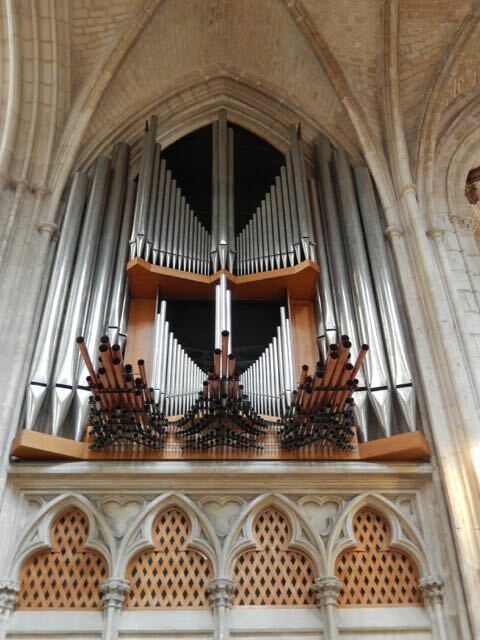 Even the organ was almost brand new as it was installed in 1984. Most important Auxerre had a great boulangerie. 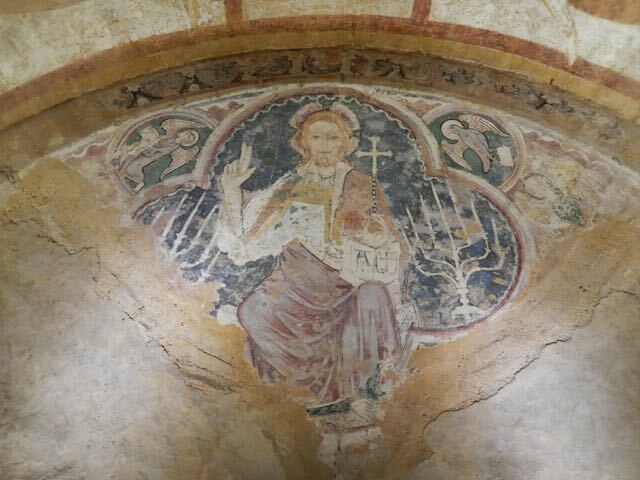 A 1,000 year old fresco in the crypt. 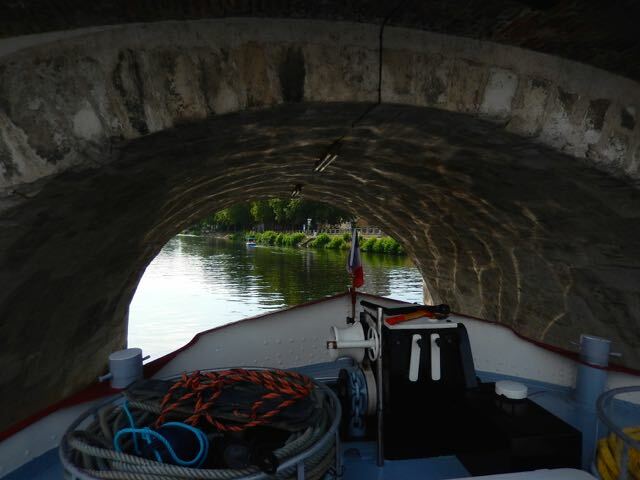 When I purchased Rabelo I knew there were a couple of canals in France where our big baby would not fit. The Canal du Midi in the South of France was one of them. We had already chartered a hotel barge on the Midi, so it wasn’t a big deal. The canal I knew we would never see was the Canal du Nivernais. A number of people I had talked to considered it the prettiest in France, and that’s saying a lot. When I bought Rabelo I wanted the comfort of a home, as we would spend six months a year on her. The ability to carry a car was also important. Only a barge the size of Rabelo can offer those amenities. I was willing to give up the Nivernais. You can imagine my surprise when Kevin said we could go up the Canal du Nivernais as far a Clamecy. I told him that was impossible. The chart said the Pont Paul Bert was only 3.10 meters high. Rabelo was almost eight inches too high to go under the Paul Bert Bridgethat wasjust 200 meters in front of us. Then I showed him where the chart said the depth of the Canal du Nivernais was 1.10 meters deep. Rabelo draws 1.20 meters. We were four inches too deep. There was no way we could go to Clamecy. 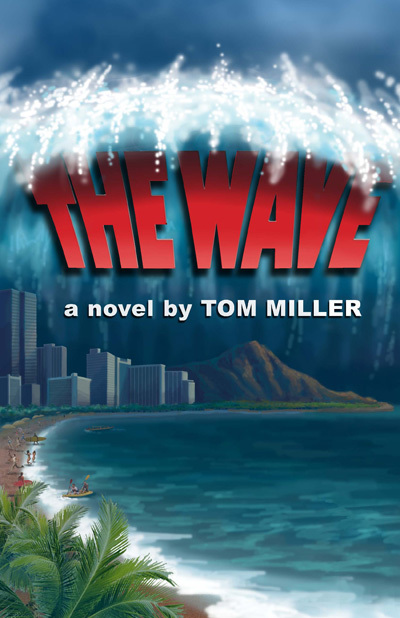 I had even talked to a cruiser with a boat that drew 1.10 meters, and he said he got so tired of hitting the bottom that he turned around. Kevin insisted that he knew what he was talking about, and was pretty sure we could make it all the way to Clamecy. I said to Kevin, “You’re pretty sure? I’m not happy. What happens if we can’t make it?” Kevin said not to worry we’ll make it. The following morning we untied our lines, and headed for The Paul Bert Bridge, which would be our first challenge. Because we were still on the Yonne River there was a current running under the bridge that I knew would create problems. I told Kevin that if anyone was going to damage my boat it had better be me. I took the helm, and Kevin didn’t argue.The current pushed Rabelo towards the right side of the opening, but Rabelo made it through without touching. It was the beginning of a beautiful adventure. The Paul Bert Bridge. We went through the third arch from the left. You can just see Rabelo through the second arch from the right. The Pont Paul Bert. The sign indicates that the depth is shallow. We made it. The Paul Bert bridge turned out to be one of the easy ones.